Whether you crave privacy in your garden, or want to create a classic look – you can’t beat a hedge for defining a boundary. Once established, hedges provide a vital habitat for nesting birds, offer shelter to endangered wildlife such as hedgehogs and can even attract beneficial insects such as butterflies. Hedges aren’t just about foliage: you can have year-round interest provided by berries, stems and flowers. 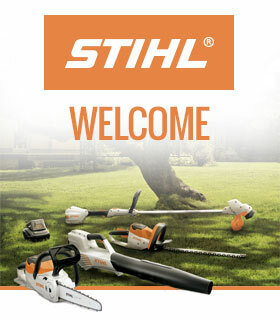 Plant a thorny or prickly hedge and burglars will think twice before targeting your property too. A hedge can also cost less than a fence to install. A professional landscaper will charge, on average, around £100 to supply and build a 6ft-long fence panel – but opt for bare-root hedging and you can create an attractive living boundary for a fraction of the cost, as long as you’re prepared to wait for it to mature. 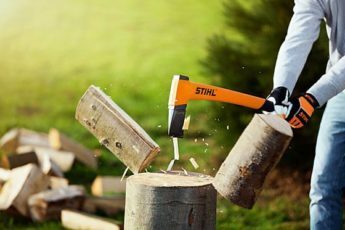 While hedges may require an annual trim, they’re less likely to be flattened by winter storms than wooden fences – and just think of the time and money that you’ll save, once you own a boundary that doesn’t need to be painted with costly wood preservative every year. The benefits of hedges don’t stop there: hedges create valuable microclimates in gardens, filtering damaging winds and helping to shelter tender plants. They’re popular in coastal areas, reducing damage from wind-blown sand and salt spray. Dense, mature hedges are often claimed to reduce the impact of noise (unless you live next to the M25, of course) but one thing’s for sure: a healthy, neatly trimmed hedge will improve your home’s kerb appeal – and value! So if we’ve convinced you of the benefits of hedges, check out our ultimate guide to planting a hedge right here! The best time to plant evergreen hedges is early autumn. However, if you’ve missed the opportunity, don’t panic, as evergreens can still go in from late-autumn into winter. 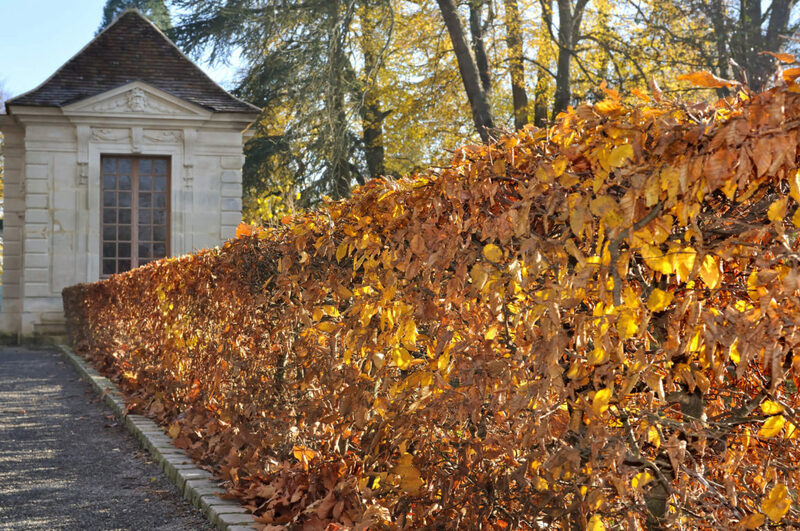 Deciduous hedges are best planted once their leaves have fallen, meaning they’re often planted between mid-autumn and late-winter. Whether you choose evergreen or deciduous, there’s a golden rule: plant while the soil is workable and never when it’s waterlogged or frozen. Do I need to clear weeds from the site before planting a hedge? Yes – weed clearance is essential. Just like in flower beds or on the veg patch, weeds compete for moisture and nutrients, and look unsightly. 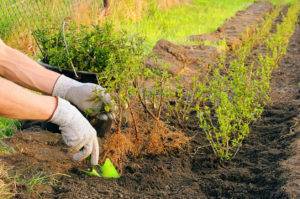 If the proposed site for your hedge is small, hand weed the area thoroughly, removing as much of the weed root as possible. For larger areas, treat with a weedkiller, two to four weeks prior to hedge planting. 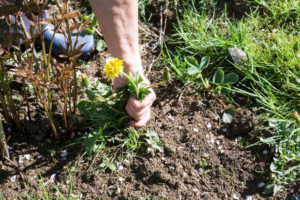 Organic gardeners can spray with a natural (non-chemical) weedkiller, but should note that some respraying may be necessary, which could delay planting. Bare-root or pot-grown hedge plants? Hedge plants supplied bare-root are most popular, and the cheapest option. They are usually sent in a bundle and it’s important to unpack them immediately. Leaving dormant, bare-root plants in their packaging, or letting roots dry out, is akin to giving them the kiss of death. Remove all packaging and stand the roots in a bucket or trug of water to keep them moist, then plant without delay. If you can’t plant for a while, temporarily ‘heel-in’ the plants by digging a hole, placing the plants in the hole and backfilling with soil. Pot-grown hedging plants cost more than bare-roots, but they have instant impact once planted. Young hedge plants are often called ‘whips’ and are excellent for quickly establishing a hedge. What plants are best for an evergreen hedge? Evergreens are popular as they provide year-round privacy and only need to be pruned once or twice a year to maintain a neat appearance. Pyracantha rogersiana (Asian firethorn) forms a dense spiny hedge with small leaves, little creamy-white flowers and an abundance of orange-red berries. It’s a winner for exposed areas. Prunus lusitanica (Portuguese laurel) is a popular choice for a traditional, dense hedge, bearing fragrant white flowers in early summer followed by dark-purple fruits. Taxus baccata (Yew) makes a fantastic dense, dark hedge, but it only grows by up to 40cm per year, so it’ll take time to mature. For a low-growing, formal hedge, you can’t beat Buxus sempervirensm (box) – however, plants have proven to be susceptible to box blight in recent years, and may need spraying with fungicide. If deterring intruders is important,Ilex aquifolium (holly) is dense, low-maintenance and bears traditional berries in winter – an important food source for wild birds. For a fast-growing, tall hedge, x Cuprocyparis leylandii (Leyland cypress) is an option; however, it isn’t one for small gardens, and Leylandii can quickly tower above houses, so this is a conifer that needs regular trimming to avoid becoming a nuisance. If you prefer a fast-growing evergreen that bears bright-red young leaves, consider Photinia xfraseri ‘Red Robin’. What plants are best for a deciduous hedge? Deciduous hedges are excellent at standing up to winter gales, although they don’t provide as much privacy as evergreens. They should be pruned in late summer. Fagus sylvatica(beech) is particularly attractive as it hangs onto its brown leaves until spring, providing extra screening in the process. Crataegus monogyna(hawthorn) is thorny, bears deep-red berries in autumn, and is popular in mixed hedges with holly and beech. Carpinus betulus(hornbeam) holds its leaves in a similar manner to beech and is a good choice for cold locations. Berberis thunbergii (Japanese barberry) is a winner for autumn colour and berries. In coastal areas, consider Hippophae rhamnoides, the sea buckthorn which bears bright orange berries on female plants and rosescan be grown as hedges, too. If quick screening for privacy isn’t an issue, but cost is, opt for a single-row hedge, with plants spaced 15-18in apart (depending on variety). For a dense hedge that will provide the maximum level of screening, plant a staggered double row – spacing plants around 18inches apart. Leave at least 15in between rows. Before planting, remember that a hedge will take up to eight years to reach its mature size, so don’t plant right against your boundary, or the hedge will encroach on your neighbour’s property as it develops, which can lead to disputes. Use a length of string tied to two canes or tree stakes to mark out a straight row – a handy guide that’ll lead to neat finish. Dig a trench to the depth of your spade and mix lots of well-rotted organic matter (such as garden compost) with soil at the base. Don’t just bung organic matter in the bottom of the trench and leave it there, or it’ll sink as it decomposes: use a garden fork to incorporate it well. Space plants out as described above, but before backfilling, mix excavated soil with plenty of organic matter. Once complete, gently firm-in the plants using your shoe and water well. It’s important to make some types of new hedges branch vigorously from their bases, so if plants appear tall, cut them down to 6in (15cm) from the ground. It may appear harsh, but it’ll encourage plants to put out healthy new growth from ground level. How do I care for a hedge after planting? Hedges are low-maintenance. However, plants must be kept weed-free and well-watered during dry spells for the first two years. If that sounds like hassle, laying a soaker hose (a hose with small perforations) at the base of the plants is a cheap and easy way to put moisture right where it’s needed. You can even buy mobile phone-operated timer devices that will switch your outdoor water supply on a couple of times a day, so plants remain watered if you’re away. It’s worth mulching (applying a 3in layer of well-rotted compost to the soil surface) in late-spring, as mulch helps to keep weed growth down while locking-in moisture. 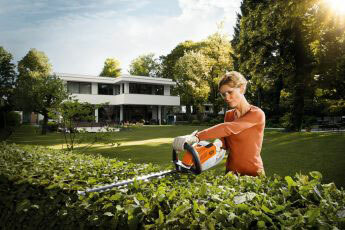 Prior to mulching, feed hedges once a year with a general-purpose fertiliser such as Growmore. 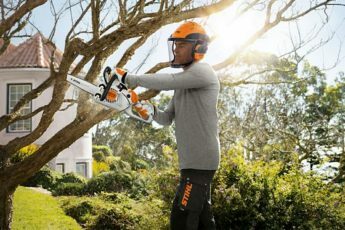 When should I trim a hedge? The Royal Society for the Protection of Birds (RSPB) urges hedge-owners to avoid cutting between March and August, as this is the main breeding season for nesting birds. Under the Wildlife and Countryside Act (1981), it is an offence to intentionally damage or destroy the nests of wild birds, while they are being built or occupied. Have you planted any hedges in your garden? 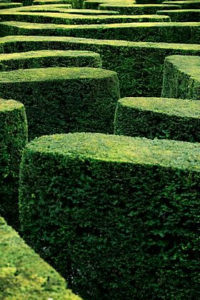 What hedges would you choose? Tell us in the comments below. Marc Rosenberg is a freelance garden writer and editor. A former journalist with Amateur Gardening and Horticulture Week magazines, he holds seven Garden Media Guild Awards. 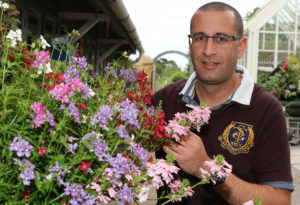 Marc has written for publications including The Gardenmagazine, BBC Gardeners’ Worldand RHS online. Hey!! thanks for sharing valuable tips. I love gardening. Two years back I purchased Fagus Sylvatica from InstantHedge and planted the hedge. Glad to hear you liked the tips!